A delightful Farm-to-Garden Wine Affair in the English Garden of Ashland Springs Hotel awaits. Enjoy a warm May evening party under the stars, created in celebration of all things local. Take in sweet sounds of live music, and savor mouthwatering, farm-to-table hors d’oeuvres from LARKS Executive Chef, Franco Console. Taste six exquisite local wines, including the biodynamic and sustainably grown Cowhorn Vineyards and Garden, Troon Vineyards, and Quady North. 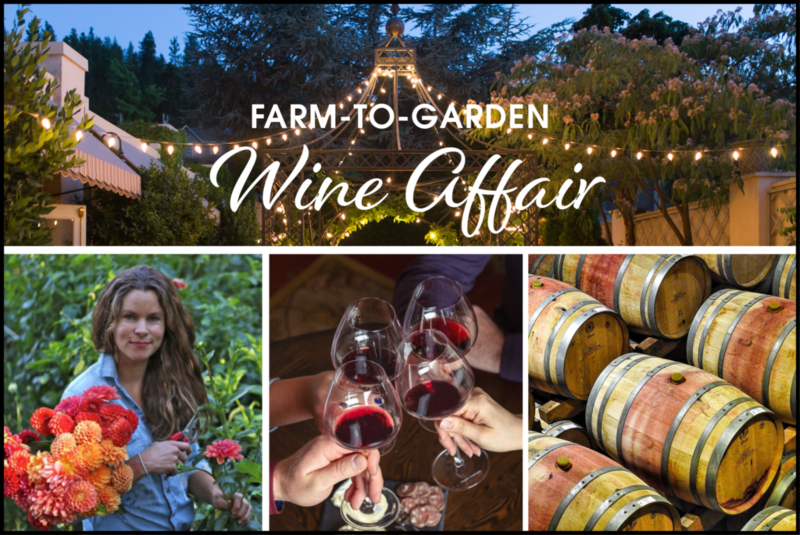 Meet expert wine makers and learn about their passion and commitment to the varieties they produce. Top off the evening with freshly cut flowers. Make your own Posy Bouquet with expert, Lucy Whitridge of Petal and Seed. The perfect mother’s day gift, or social with friends. After an evening of wine, retreat into comfort with a cozy overnight at Ashland Springs Hotel. Book your overnight stay. Rates start at $145 per night.